I will definitely REMEMBER this drama. I must thank Couch-Kimchi’s review about the drama because if I didn’t read it, I probably will skip this show as the premise is not my type at all. But, just like what “Kill Me Heal Me” did to me in the first quarter of this year, I Remember You certainly will stay in that special place of my heart. This drama is nothing like a typical drama (in a good way). The script is well-written, the casts are putting their best act, and the production is well-executed. I highly recommend this drama! 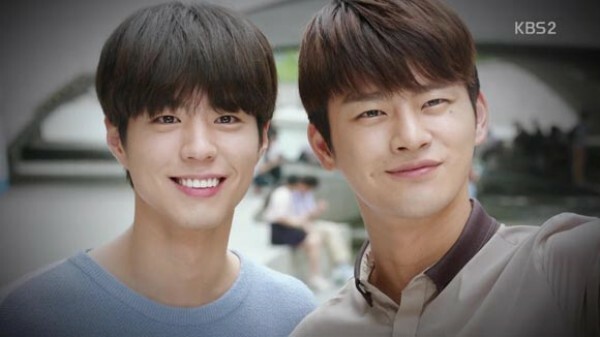 I Remember You tells a story of a genius criminal justice professor and a profiler Lee Hyeon (Seo In Guk) who lost his father and younger brother when he was a child by a serial killer, Lee Joon Young (D.O EXO). Lee Hyeon decided to open his “paused-story” and find Lee Joon Young for a payback. In order to find Lee Joon Young, Lee Hyeon work as an advisor in a Police Special Task Force team where he met his childhood “stalker” Cha Ji An (Jang Na Ra). 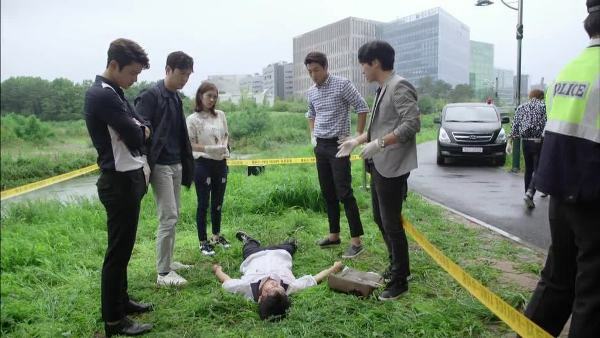 Cha Ji An, who also has a bitter past related to Lee Joon Young decided to help Lee Hyeon in finding the murderer. During his journey to find Lee Joon Young, Lee Hyeon find out that his younger brother is alive and turn into something he afraid of. Ok, an action-crime drama is absolutely not my favorite, which probably the reason that make me hesitant to watch this show in the first place. But when I read Couch Kimchi’s review and other thread about how good this drama is, I decided to give it a try. And voila! I can’t stop watching it. I finish the drama in only four days! The reason why I finished it fast is because I was curious about what the next episode will tell, will the bad guy came to the surface? Will the good guy catch the bad guy? Will the good guy’s memory revealed? Everything is interesting and everything is gripping. 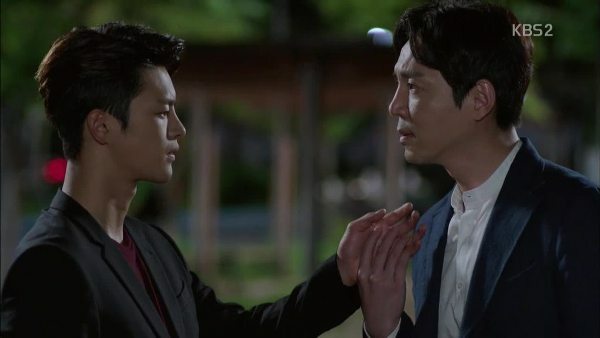 From episode 1-3, I thought that the drama is somehow similar to You’re All Surrounded, where the male lead, who hold a grudge for a person who kill his family, decided to join a police team to find that killer, and meet his childhood friend that later on become his significant other. But, I Remember You is nothing like You’re All Surrounded. If the two dramas are food, then I Remember You will be a perfectly-cooked dish with a delicious seasoning and beautiful garnish, while You’re All Surrounded will be a raw bland dish and beautiful garnish. Sure, they have a similarity but I Remember You definitely lead in front. Genre wise, I Remember You certainly hold its grip. 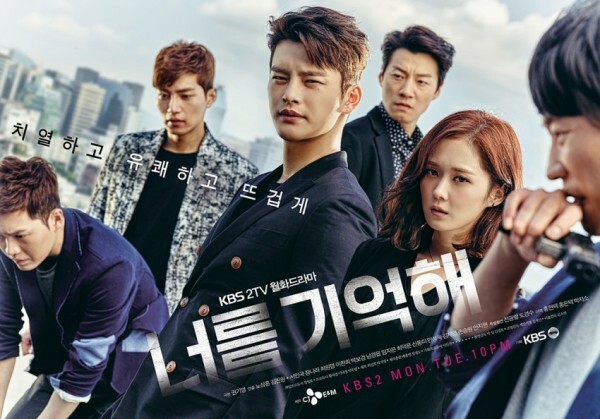 From the first episode onward, the drama sticks to its genre as an action-crime drama with a hint of romance, mystery, and thriller. 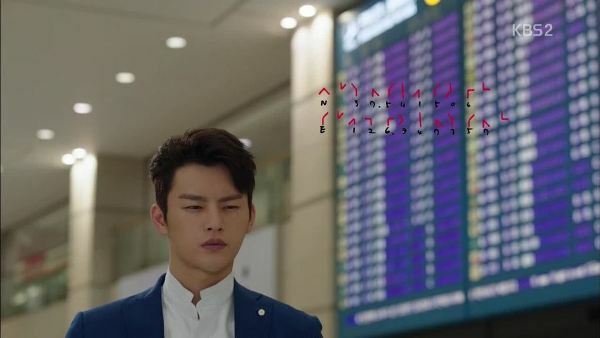 From the beginning of the first episode, the viewers have been introduced to a genius profiler and his background story which exclaimed the “I Remember You” or “Hello Monster” title. 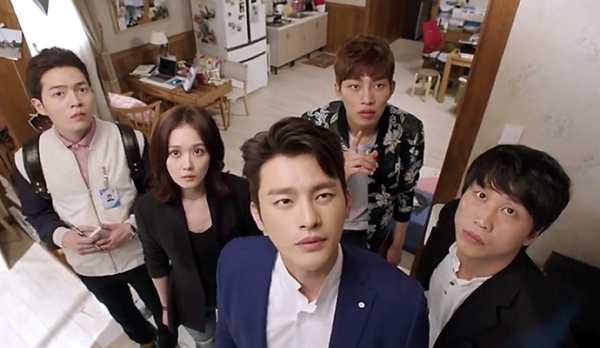 The viewers were invited to know each of the character’s personality in a smooth and fine way, which makes the drama easy to follow despite all of its complexity. As for the cast, I must say that my first impression when I see the name and picture only, I feel nothing special. I have no special feeling toward the casts as none of them were my favorite actor or actresses. But, that “ok” feeling turned into admiration when I watch the drama. I find myself drawn into the genius Lee Hyeon (Seo In Guk), even though later on my focus shift to the teenager Lee Joon Young (D.O. EXO) and Jung Sun Ho (Park Bo Gum). Hence, the casts were doing their job right in portraying each character, so kudos for the casting team who choose the right people to play the shows’ character. As I mentioned in the introductory paragraph, despite of its uniqueness, the premise of the show is not my type at all, but as I dive in deeper and deeper into the show, I find the story really intriguing and different (in a good way, for sure). I have to put my two thumbs up for the writer of this drama, Mr. Kwon Ki Young, who is able to turn viewers’ heart up and down and rode them in a roller-coaster-like journey for the entire show. The beginning of the story is already strong as the viewers were gradually introduced to a backstory of each character, which is nothing like ordinary people’s story. What I like from the drama is that each character has a strong personality and it lasts and stays like it was from the beginning to the end of the drama. Consistency. That is one of the strong points of this show. What puts me in awe is the fact that Min holds a vital role in the show, which really unexpected, considering his presence in the early episodes. In the early episodes of the show, Min is only Hyeon’s innocent little brother who likes to play with his hyung. 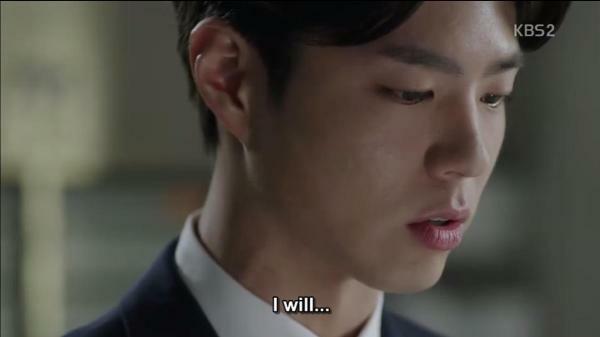 I never thought that the real “Monster” in the Lee family is actually him and Hyeon only covers up Min’s evil deeds. To be honest, I once thought that maybe Hyeon is really a monster, like his father suspected of. 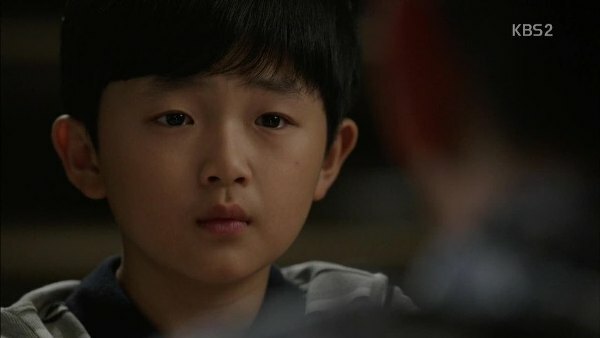 What interesting is that in the finale, Min’s attitudes and statements when he was a child are showing that he’s the real Monster. Another thing I like from the story side is how it took different route from other typical drama. Just when you thought the story will be like this, the writer turned it conversely, which makes the drama more interesting and hard to guess and makes me, as a viewer, can’t wait for another episode of it. The writer also tend to not drag things out, which makes the viewers less frustrated and decrease the “What the hell are u doin? Get out of that room immediately” moments. Oh, another point I love from the show is that it has a title for each episode, which enlighten the viewers about what they were about to see in the episode. And the title is always attention-grabbing! Which makes it more interesting to watch. I love how meticulous the writer is. He always pays attention to details and not left things out. There is almost no “what about him/her/that/this?” moment as long as I watched the show, because everything told in the drama is clear and understandable, and the mystery is (sort of) solved in the end of the drama. 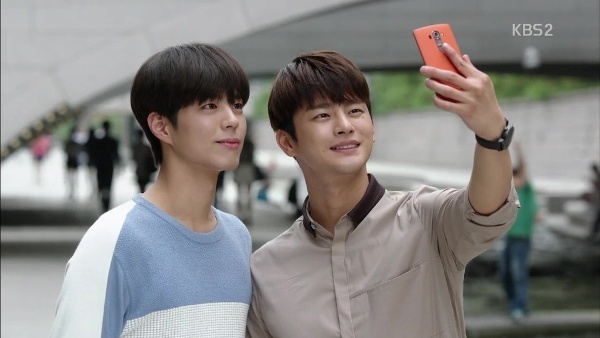 Title wise, I prefer I Remember You than Hello Monster, because the characters in the drama are desperately want people, or especially Lee Hyeon, to remember them. I’m serious. It’s a bit silly, though, because almost everyone was longing for Hyeon’s affection and how they want to be remembered by him.But on the other side, there may be other factors why the writer decided to title it with I Remember You. On the episode when a high school student died because of his parents neglected him and his friend bullied him, Jung Sun Ho/ Min pity him and thought that just like him, that student is someone who is threw away by people around him. 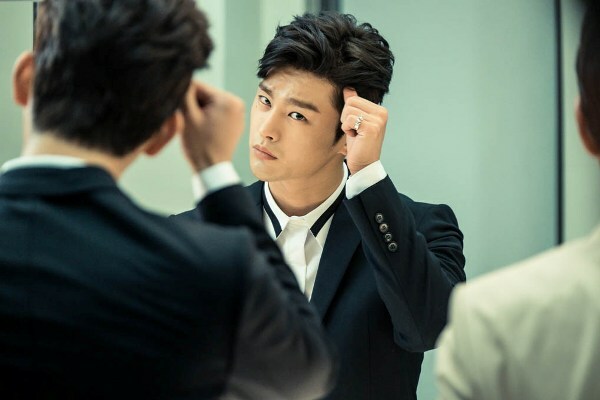 On that time, Jung Sun Ho said that even though people close their eyes to him, he, Jung Sun Ho, will remember him. That time I realized that the reason why Min and Lee Joon Yeong became a monster is because they were desperate for an attention, they want someone remember them, not as a monster, but as a person. On a romance side, once again, the writer took a different road. I guess the romance is not the core of the story because the drama has only few romance moments between our two leads. However, I love the writer’s decision to do such route, because I get to see a sweet romance between two grown-ups, without many passionate moments and skinships, but once they do it, it succeed in making me smile like a pabo, even though it only a light stroke on a head or a kiss on a forehead. How the two lead stares at each other when they realize they have developed their feelings are also as sweet as a cotton candy. As if they said in their head that they knew and no need for one to express it in words. I know there’s a lot of pros and cons about the finale. I kinda like it though. I love how the writer leave it to the viewer to decide whether Min/ Jung Sun Ho bought another new identity or back to his old identity as Min and confess his wrong deeds. I also love how both murderers Jung Sun Ho and Lee Jon Ho/ Lee Joon Yeong are alive and well because as I watched, my feelings for these two are growing and I’m sort of like and pity these two. It’s a “Stockholm Syndrome”-situation-like, maybe. But it will be sad if one of them is dead or going to jail because I believed that they’re not bad people in the first place. The fact that they’re only killing cruel people is another thing to be pointed at. So, I’m satisfied with the ending. Thank God, it is Seo In Guk who plays the role of Lee Hyeon, instead of the casting team’s first choice, Lee Jin Wook. Don’t get me wrong, I like Lee Jin Wook (well, who doesn’t? 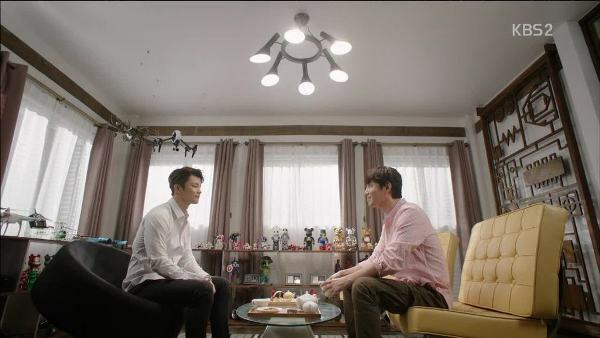 ), but I thought Lee Jin Wook will not portray Lee Hyeon character as good as what Seo In Guk did. It proves that Seo In Guk is not entering the dramaland only because of his fancy faces and body (which, ehem, seems to get bigger and sexier). He definitely nailed the role. It’s not that I don’t like Jang Na Ra, but I find it hard to love her acting, even though I like her character in this show. She did a good job in portraying Cha Ji Ahn, but there’s nothing special about her acting, though I salute her professionalism to continue filming the last episode of the drama after her minor car accident. But then again, I don’t find anything special in particular about her performance as Cha Ji Ahn, which unlike how I think about Seo In Guk as Lee Hyeon, in which no actor will play it as good as Seo In Guk, I think there will be another actress who will portray Cha Ji Ahn character better than how Jang Na Ra played it. No offense for Jang Na Ra’s fans. 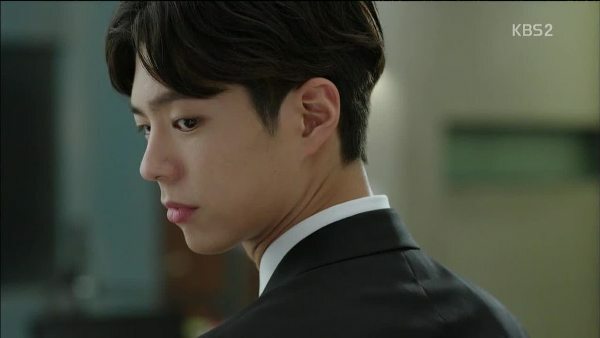 Park Bo Gum is one of the two stars on this drama who catch my attention the most. The way he depicts that mysterious lawyer is perfect. I hope he will repeat the success in this drama for his next drama, Reply 1988 (can’t wait!). Choi Won Young is never choosing a bad drama this year, right? First, Kill Me Heal Me, now this. Even though I Remember You rating is not as good as Kill Me Heal Me, this drama is definitely something k-drama enthusiasts need to watch. After playing the role of Assistant to a chaebol, his character in this drama is quite interesting and different from his previous role. However, I find him lack in some points in portraying Lee Jun Ho. Too bad. Wow, DO! Just, WOW! I think D.O. will be the next Park Yoochun or Park Siwan (hence, actor-dol), because his acting is really something. Even though he only showed up in the early episode, D.O. succeeds in leaving a memorable acting. Good job, little fashion terrorist! Honestly, I find D.O. is creepier as Lee Joon Yeong than Choi Won Young, which makes me think Choi Won Young lacks that 1% of depicting the monster Lee Joon Yeong. It has Lim Kim!! That was my first reaction when I heard Lim Kim’s voice playing in the show. I adore Lim Kim’s dreamlike voice and a drama with Lim Kim’s voice in it is definitely not something to be passed. My favorite soundtrack is certainly Lim Kim’s, even though I started to love Dear Cloud’s Remember and Hong Dae Kwang’s It Shows recently. But the soundtrack is not disappointing. 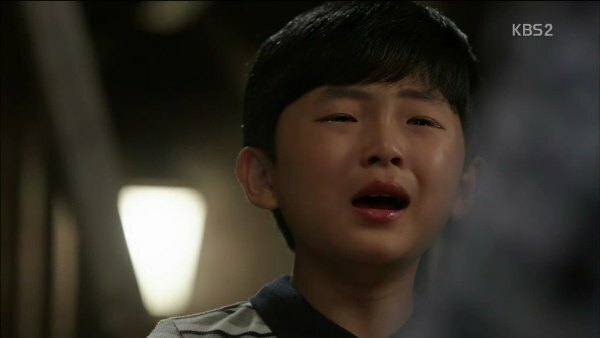 I have to put my two thumbs up for the child actor Hong Hyun-Taek for giving the viewers such a solid acting. The expressionless and full of meaning-stare acting that he gave is a masterpiece considering how young he is. 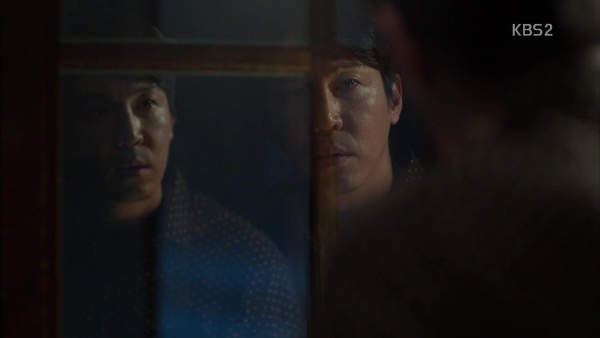 The scene when father accused little Hyeon as a monster and forced him to live in a basement in order to save him from the world and save the world from him (this one is really cruel father) is one of my favorite scenes on the show. Both father- and Hyeon’s expression in this scene is a work of art. I pity Hyeon so much when he cries and asks his father why he deemed him as a monster without even asking him first. And this scene is actually really meaningful since what little Hyeon experienced that time is similar to what the killer Lee Joon Young experienced during his childhood, when everyone ignore him and deemed him as a monster. The story of Park Young-chul (Kim Kyu Chul) and his son Park Dae Young (Shin Jae Ha) is maybe just one of several subplots on the show and appear only in one episode, but how intense and how subtle this scene has put me in awe. The get-together between a father Park Young-chul and his son Park Dae Young who have parted for several years is surely touching. 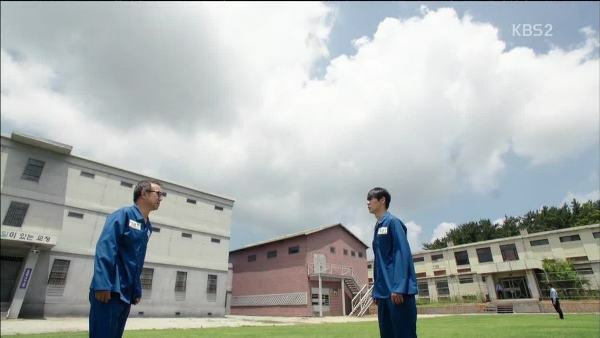 What makes this scene even more heartbreaking is that these two met again in a prison, a place where the father not belong to and a place where the son belongs to. The camera angle that captures a sunny sky as a background of these two reunion is a perfect complement to the already tear-jerking scene. 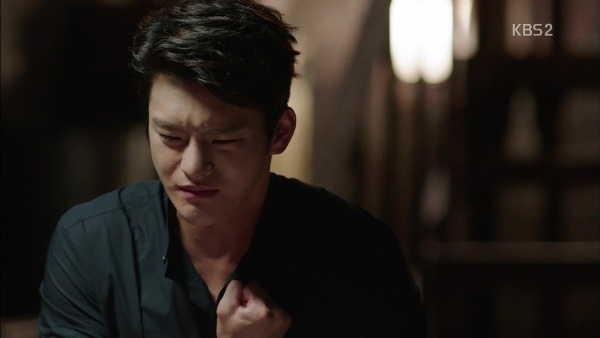 Sure, Seo In Guk’s cries probably not the best cry if compared to Kim Soo Hyun’s cries, but the way he cries in this scene and the way he pounds his chest after finding out the truth about his little brother Min definitely inked in my mind. The music played in this scene (Remember by Dear Cloud) is a perfect addition. There’s a mixture of feelings in this scene. There is a sad moment as well as happy moment. The two brothers finally get the time for themselves in which they decided to use it for an afternoon walk and finally letting out their true feelings for each other. The moment when they take a selfie is a sum-up of a roller coaster journey between these two. Finally, my score for I Remember You is 8.5 out of 10. Hmm.. I don't know if I should say this or not, FYI Seo In Guk debuted as a singer. So probably you can add/elaborate your statement that he didn't enter dramaland mere of his popularity as a singer? sure, I know he's the winner of Mnet's Superstar K, probably his beautiful face (and body) blinded me and make me forget to write about the fact that he started his career as a singer, hehe. I'll be more careful in writing my review from now on. i super love this drama! 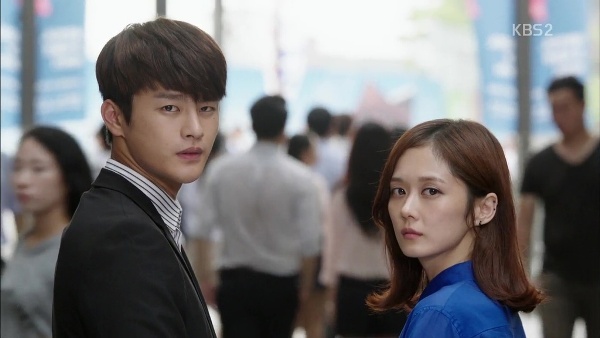 it's very different and in a good way.. kudos to the writing and all the casts..this drama make me awed with seo in guk acting skills..
i know, right? this drama is so different yet so good. 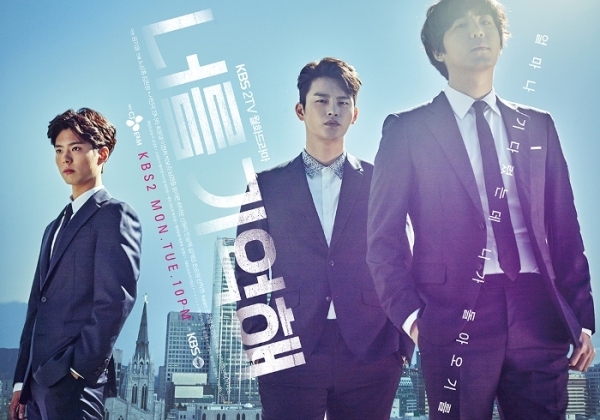 it's well-written and the casts put their best performance. Reading your comments are nothing but fangirling over PBG. Right, because I fangirled so much like saying over and over again how cute PGB was or how amazing his acting skills were, but I only mentioned his smile. Hmm, I guess that was too much. Gonna rate this drama for 11/10. It makes me reflect and think about myself as I watch the drama. THe Psychopatic ways of thinking and between the decisions the brothers had made. I even forgot to critisize the actings or the actors - I was just drawn in to it and let it give me its story. And among many Kdramas, its the best ending I have ever had. The choose to love(not romantically) is best portrayed in this drama as David Lee continue to believe in Min. Awesome!